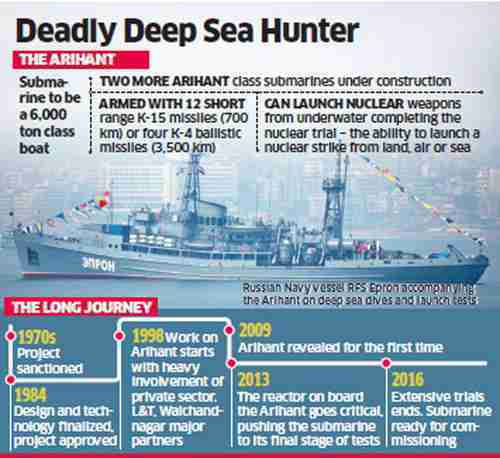 The 6,000-ton 110-meter long nuclear submarine Arihant, developed by India over the past three decades under a secret government program, is ready to become fully operational and could be commissioned in a few weeks, after completing in secret five months of deep sea diving drills and weapons launch tests. India says that the Arihant is "indigenously built." It's believed that work began in the 1980s with help from the Soviet Union, particularly on the vessel’s miniaturized reactors. A Russian diving support ship -- the RFS Epron that arrived on October 1 -- has been accompanying the Arihant on its deep sea dives and launch tests. The deployment would complete India’s nuclear triad, which means that it could deliver atomic weapons from land, sea and air. 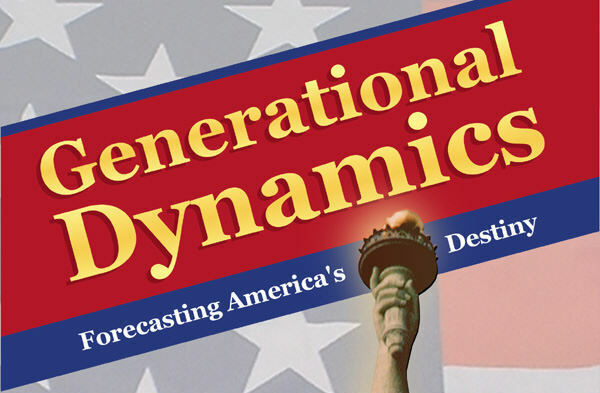 Only the U.S. and Russia are considered full-fledged nuclear triad powers now, with China and India’s capabilities still largely untested. India would become the sixth country to have nuclear-armed submarines in operation, after the US, UK, France, Russia and China. Philippine officials report that China's warships are taking over yet another traditional fishing ground of Philippine fishermen in the South China Sea, and are preventing them from fishing there. The new acquisition is Quirino or Jackson Atoll, which has been a rich source of catch for a long time. "According to information from relevant departments in China, at the end of the year 2015, a foreign vessel was grounded near Wufang Jiao of China's Nansha islands. The owner of the vessel tried many times to tow it away but failed. He then decided to abandon the ship and dismantled and took away its main equipment. If the vessel was left aground for a long time, it might cause possible impediment to navigation safety and damage to the marine environment. Therefore, China Rescue and Salvage of Ministry of Transport recently sent salvage ships to tug the grounded vessel out of the shallow water for proper disposal. During the operation, the Chinese side advised fishing boats near the waters to stay away for navigation security and operation safety. The Chinese ships have returned after the operation." The Gulf Cooperation Council (GCC) on Wednesday declared Hezbollah to be a terrorist organization. The GCC is an organization of most Sunni Arab nation, including Bahrain, Kuwait, Oman, Qatar, Saudi Arabia and the United Arab Emirates (UAE). Hezbollah is a Lebanon-based Shia political and militia organization, funded and supported by Iran, recognized as a terrorist organization by the US and other Western countries, and now by the GCC. Sectarian Sunni versus Shia tensions have been rising continuously since 2011, when Syria's Shia/Alawite president Bashar al-Assad began his genocidal attacks on innocent Sunni protesters in Syria. "The GCC states consider Hezbollah militias' practices in the Council's states and their terrorist and subversive acts being carried out in Syria, Yemen and Iraq contradict moral and humanitarian values and principles and the international law and pose a threat to Arab national security." Up until a few months ago, the Gulf states had a good relationship with Hezbollah, especially as long as they could talk about a common enemy, Israel. But Hezbollah's alliance with Bashar al-Assad, attacking Sunni civilians in Syria, has turned them into enemies.